You’ll no longer have to open and close blinds or shades for privacy and light. 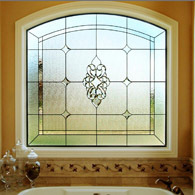 Improve your home’s privacy & safety with this stylish upgrade. 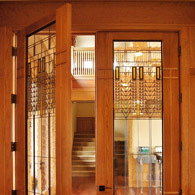 Beautify hallways while adding privacy and elegance. 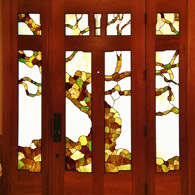 Unique beauty to your kitchen windows, doors & cabinets. 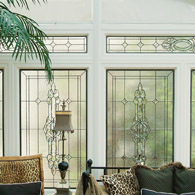 A beautiful accent to your homes high window areas. 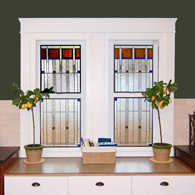 Improve your homes privacy while adding beautiful accents. 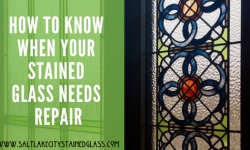 Bring your stained & leaded glass back to life. 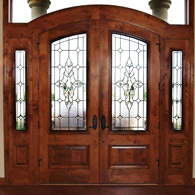 Incorporate this timeless style into your home today. Bring our one of a kind religious designs to your religious building. 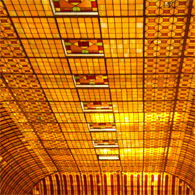 Creating beautiful, unique designs for buildings of all kinds. 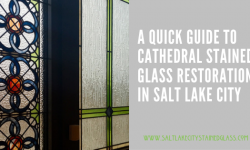 Salt Lake City Stained Glass proudly servers the entire central Utah area with the nation’s highest quality stained glass windows. 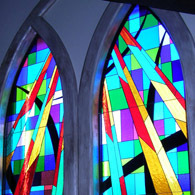 The local branch of Scottish Stained Glass, we are the largest studio of our kind in the United States we have spent 25 years serving residential, commercial, and religious clients with projects of all shapes and sizes. 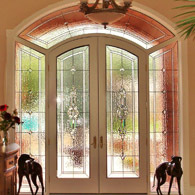 Often we provide residences with leaded, textured, and beveled glass that provides added privacy in entryway doors and sidelights, transoms, bathrooms, kitchens, hallways, and so much more. 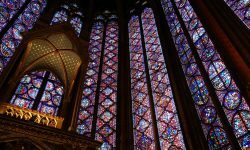 We work with a number of commercial clients to provide signage, repair and renovation, or new stained glass that meets their branding needs (often celtic or antique in nature). 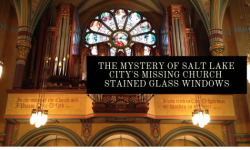 We also work with temples and churches of all sizes, denominations, and styles. In fact we recently won the contract for the LDS Temple in Fort Collins, Colorado. 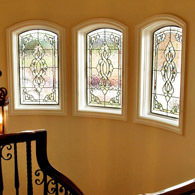 Whether you are looking for a repair, a renovation, or beautiful new stained and leaded glass, contact us today to schedule your free consultation and learn more about our time tested process, extraordinary craftsmanship and stunning finished product.